If you thought being an instructor was the only way you could be paid to do what you love, then think again! Ever thought about how water storage tanks are inspected, cleaned and repaired? Some of these tanks can hold millions of litres of water, so draining and wasting this precious resource is a thing of the past thanks to potable water divers. 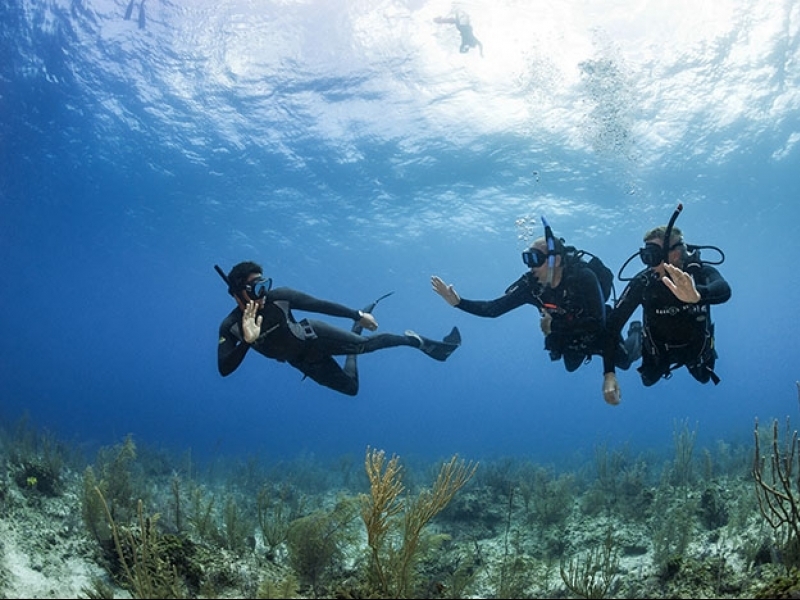 But don’t be fooled into thinking that “inland diving” is easier than out in the ocean – in fact, it can be a lot more dangerous. Not only can the climb up to be pretty nerve-wracking, but then you’re inside an often operating pitch-black tank 45 metres above the ground, with differential pressure a constant concern. Most scientific divers are scientists first and divers second. Researchers from universities, government agencies, and private organisations study things like natural resource management, climate change and marine biology in locations all over the world. Imagine descending into chilly -1.9°C water from a surface temperature of just -15°C, through a man-made hole in 1.5 metres of ice in the Antarctic. Alternatively, if undertaking a science degree doesn’t really float your boat, you can always partake as a citizen scientist on a weedy seadragon dive right here in Sydney! The rewards may be high for an abalone collector, but the risks are even higher. These molluscs are found in the most dangerous parts of the ocean where strong swells and waves are fierce, pushing divers perilously close to rocks. Exhaustion and entanglement are added risks and Great White sharks are prevalent. Check out Abalone Wars for a behind-the-scenes look at this heavily regulated and highly competitive industry. One man’s misfortune is another man’s fortune! It may not be the most glamorous of jobs – think snakes, chemical run-off, broken bottles, and limited to zero visibility – but sifting through the murky silt of water traps on golf courses could actually earn you money. 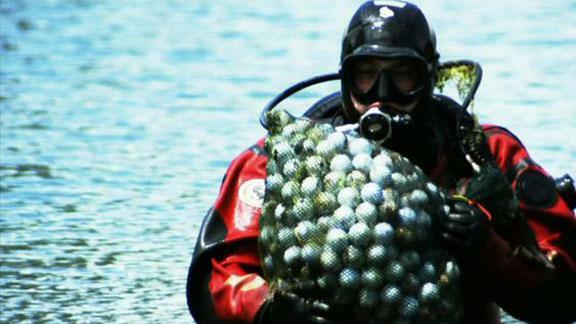 After all, there are some pretty terrible golfers out there! Money earned per ball collected varies, but you do need to be collecting quite a few to make it worth your while (we’re talking in the thousands). It has to be done legally too – don’t be poaching balls or you’ll be done for trespassing and theft. Understandably, this is another profession that involves more skills than diving. Technically and physically demanding tasks like welding, laying pipe, building and inspecting rigs form part of the job description. 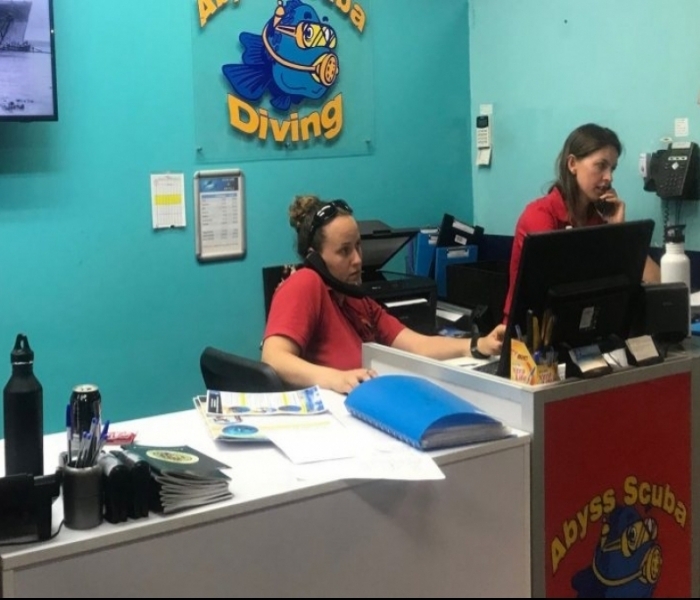 It’s risky work, with divers required to carry out work even in dangerous weather, but the high level of training and specialisation required for this job also means it can be pretty lucrative.